This is not about politics - it doesn't matter if you like or dislike the President, agree or disagree with the war, our military has to do their job! And it's our duty,as FREE US Citizens, to help support our troops! we have sent 33,096 care packages to our troops! Donations of over $361,122.00 have been used on postage. We are a group of Family and Friends of local Military personel and feel that we need to help make their deployment a little more comfortable in this 130 degree temperature plus environment! We send them items that they have requested. Add your loved one to our care package recipient list here. When we stand together, we can make a difference! This can't be done by one or just a few people but when you are united with your community - miracles happen! People Want to Help - They Just Don't Know How! Reach Out and ASK, you'll be so surprised! This type of Support Group is duplicable in every City, Town across the USA! Ask us how you can start a group of your own in your City and we'll be happy to advise you. YOU ALONE CAN MAKE A DIFFERENCE... You can be personally responsible for making it a little more comfortable by donating items for Care Packages or making a donation for Tee Shirts and magnets. Hurray !!! You did it. 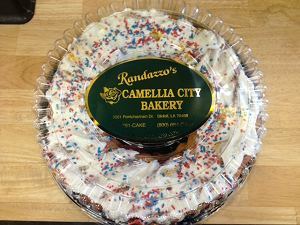 We sent out 400 king cakes on Feb. 6, 2019. We are still collecting postage for our monthly packages. Any amount is deeply appreciated.